PerformancePanels.com is brought to you by APA – The Engineered Wood Association, a nonprofit trade association for structural wood products manufacturers. 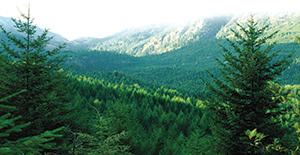 For over eighty years, APA has focused on helping the industry create structural wood products of exceptional strength, versatility and reliability. Combining the research efforts of scientists at APA’s 42,000 square-foot research center with the knowledge gained from decades of field work, and cooperation with our member manufacturers, APA promotes new solutions and improved processes that benefit the entire industry. 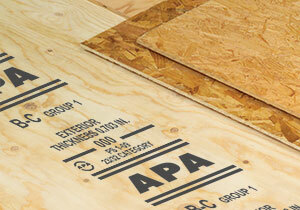 Need help choosing the right plywood or OSB (oriented strand board) panel or engineered wood product? Staffed by engineered wood specialists, the APA Product Support Help Desk is a free service available to answer your questions pertaining to the specification and application of wood structural panels. Learn more about APA. To contact the Help Desk, call 253.620.7400 weekdays from 7:00 a.m. to 4:00 p.m. Pacific Time (or leave a message anytime) or submit your question below. 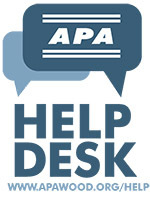 For answers to frequently asked questions, visit the APA FAQs page.